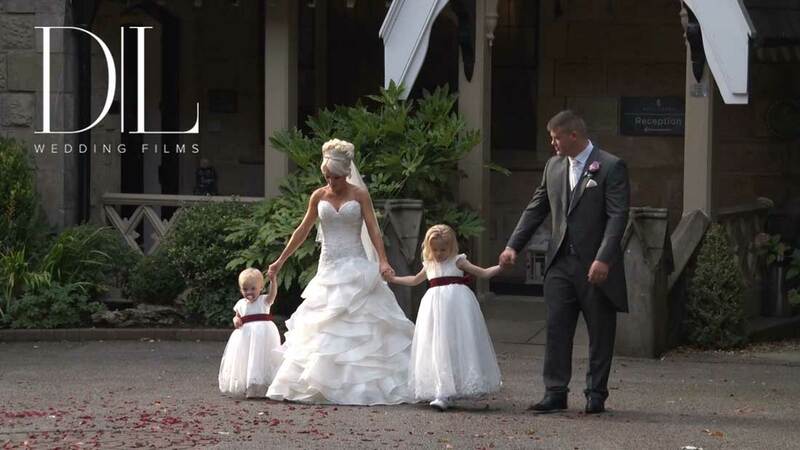 ” We just want to say a massive thankyou to you Barry for our amazing wedding film…. 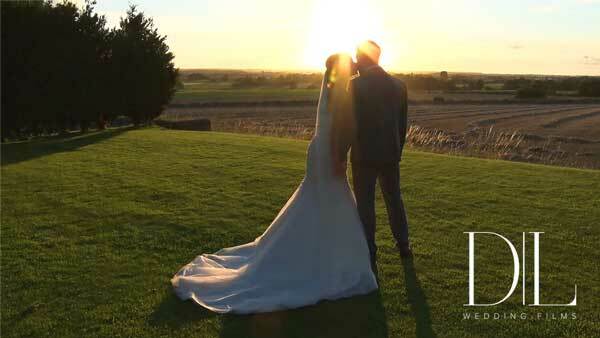 “We just want to say a massive thankyou to you Barry for our amazing wedding film! On and leading up to our big day you was a huge help, reassuring us that nothing would be too much trouble and making sure our day was perfect. The first time we watched our film it was like reliving the day, so much emotion captured then when showing our families we were all in tears! We would definitely recommend you to everyone! 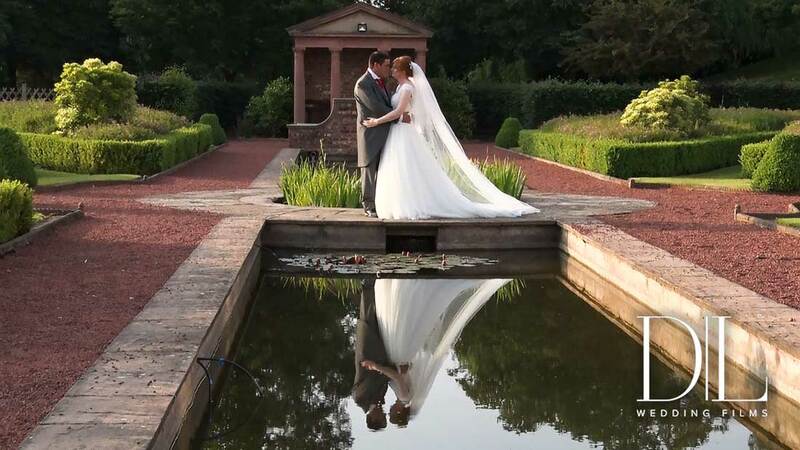 ” After watching our wedding film all we can say is WOW!…. 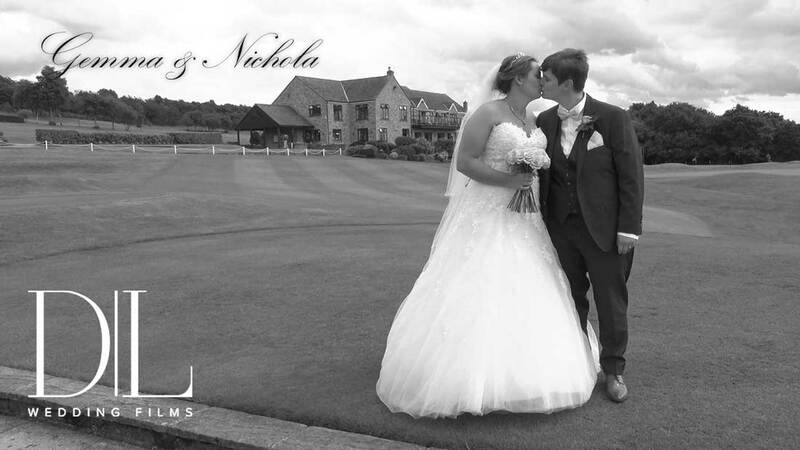 “After watching our wedding film all we can say is WOW! Both myself and Edwin would like to say a massive thank you for your excellent work on our wedding day. Throughout the whole day you could not have been more helpful. Always there with a reassuring word but at the same time we didn’t even realise that you were filming us. We would highly recommend you to any future brides and grooms! Once again we cannot thank you enough for capturing our special day! We can now relive the happy memories for a very long time to come and cannot wait to show our family and friends. Wishing you and Diamond Lights all the very best for the future. ” it has exceeded all expectations….It has been amazing to watch…. We have received the film, thank you so much, it has exceeded all expectations. It has been amazing to watch. I will write you a review in the next few days. ” ..Its absolutely perfect from start to finish, overwhelming thank you so so much for capturing it all. “Just watched our film for the first time. Its absolutely perfect from start to finish, overwhelming thank you so so much for capturing it all. Me, Paul and even Lexie and Poppy cried. Ready to show parents etc now, cant wait. If you could share highlights film when you can please. 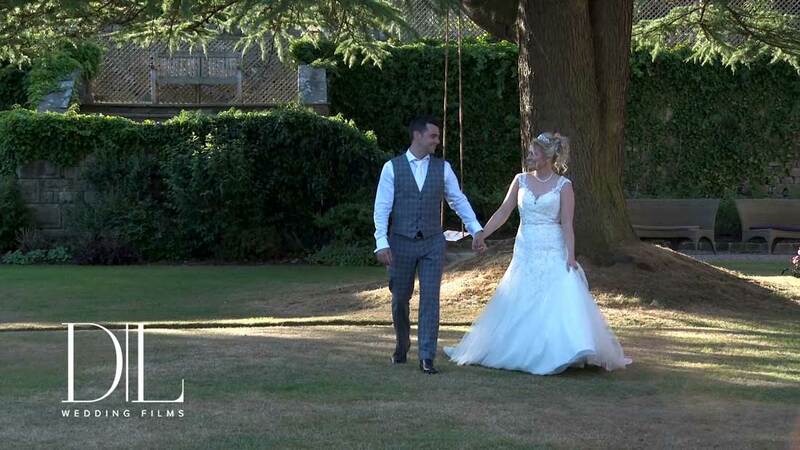 ” ..Firstly, a great big thank you for our truly amazing wedding film…. it is just incredible. 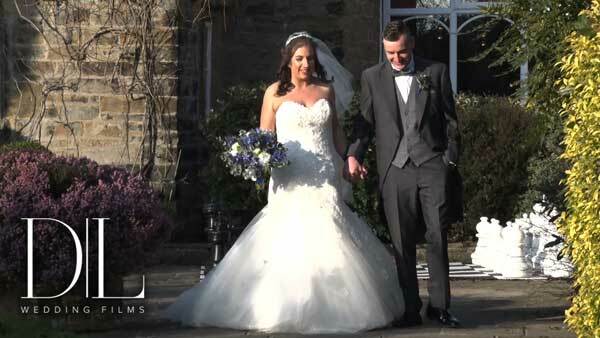 “Firstly, a great big thank you for our truly amazing wedding film! We weren’t sure about having a videographer to start with until we spoke with Barry. Barry is always friendly, professional and super organised and had us sold by the end of the first phone call! On the day itself Barry was incredible. His filming style is unobtrusive and he was like another guest at our wedding! He was always on hand to help and direct us to where we needed to be. The film itself – just wow! It is so much more than we could have ever imagined! You can tell that every little detail in it has been carefully thought through by Barry and it is just incredible. It was so nice to sit down and relive our wedding day and to also see moments that occurred that we hadn’t even realised happened! Our highlight film – again just incredible! We have had so many lovely comments from family and friends and it gives me goosebumps every time I watch it! We are both so glad we made the decision to book with Barry and couldn’t recommend anyone more perfect to film your wedding day. He is so committed and passionate about what he does and it reflects through in his work. Thank you again for everything Barry, it was such a pleasure having you as part of our truly special day! ” ..Each time we watch it we see different things, it’s amazing! 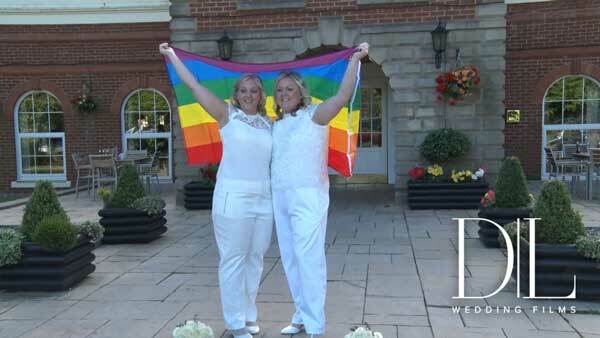 Two years today – just finished watching our special day again and we can’t thank you enough for capturing it all. Each time we watch it we see different things, it’s amazing! Lovely memories of a beautiful day. ” ..Can’t put in words how amazing you are Barry as a person and the work you do. …The work you have done is truly magical and we will treasure it for many many years and will always think of you. “Can’t put in words how amazing you are Barry as a person and the work you do. Me and Daniel would like to thank you Barry so much for everything you have done for us. You listened to everything we had to say, nothing was to much trouble, answered all our questions we had and kept us updated throughout. On the day itself you helped to make sure it went smoothly and made everything calm around us. You were and will always be fully included in our day. It really is like being a guest at our own wedding. I was in tears after a few minutes in. The work you have done is truly magical and we will treasure it for many many years and will always think of you. Thank you so much. 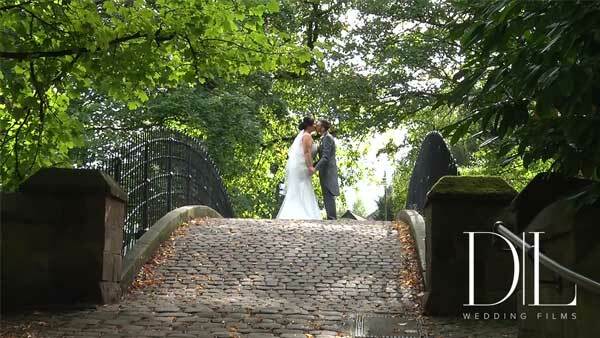 we would fully recommended you to any couples wanting their day capturing on film. 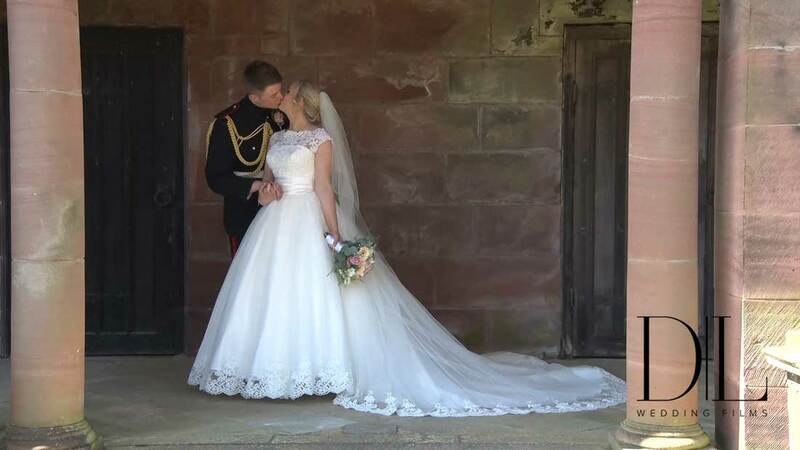 ” ..we feel so excited for couples who have already booked Barry as we know your wedding films will be beautiful and special just like ours is to us. “5 stars just isn’t enough!! We don’t really know where to begin with our review but we just want to say a big ‘Thank you’ to Barry for the amazing wedding film he created for us. 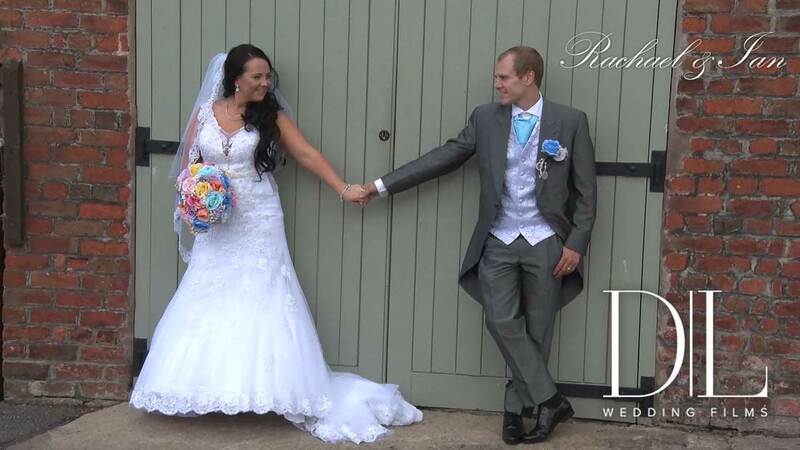 If you are thinking of booking a videographer Diamond Lights is the company you need! From the first time I spoke to Barry he was organised, friendly and passionate about what he does and all of these qualities continued until we had received our wedding film- which is just perfect!! On the wedding day itself Barry was so great to have around it was like a friend filming our wedding but at the same time we didn’t even know he was there! We loved watching our film back and it really was like being a guest at our own wedding and we realised how much we had missed on the actual day! I felt so excited and nervous watching it even though I knew what was coming up! Barry kept us informed of where our film was up to through regular emails we were so excited to see the final result even though we knew Barry had done a great job!! When we received the film it was beautifully packaged and the attention to detail was incredible. We will definitely be recommending Barry/ Diamond lights to everyone who is looking for a videographer and we feel so excited for couples who have already booked Barry as we know your wedding films will be beautiful and special just like ours is to us. Thank you so much Barry!! – You are amazing at what you do! Genuinely where do we start? From the moment we met you you have been amazing with us. Throughout the whole process of planning our wedding if we needed advice we knew we could ask. We have watched our amazing wedding film over and over and it is unbelievable. The way you have captured our special day is out of this world. We have laughed cried and reminisced about the day all over again. It is truly the best investment we have made because you have captured our memories and special moments that we could have missed and we can watch it for the rest of our lives. We can’t recommend you enough. Our advice to anyone considering a wedding film is to have one and to book it with you because you will regret not doing this in the future!! Thank you for producing such a beautiful film for us from the bottom of our hearts we will be forever grateful. You are a credit to the industry your professionalism and commitment to your job is something to be proud of. We can’t recommend you enough and we will wholeheartedly recommend you to anyone who is getting married. “Wow… what can I say?! I’ve had our film less than 48 hours and I’ve watched it 5 times! I’m sure my husband thinks I’m losing the plot but I just love watching it so much! Barry captured so much of the day and I really could not be happier with the end result. We both loved every second of watching back our film and we couldn’t recommend Barry enough. It was so lovely to see parts of the day we wouldn’t have seen had we not chosen to hire a videographer, like our guests arriving and the reaction of our guests during the ceremony. You become so wrapped up in everything on the day and it’s over within a flash so to be able to sit back, relax and watch it back has been amazing. It really has been like re-living our wedding day! What was particularly great about Barry though, was firstly, just how discreet he was all day and some of our friends have said they didn’t even realise we had a videographer. Secondly, Barry was exceptionally professional at all times, giving us lots of information in an organised and well planned out way. In the build up to the wedding his professionalism and high standards of organisation really put my mind at rest and it meant that I had complete faith that he would do an amazing job on the day. Not only that, Barry also gave that personal touch and he was a pleasure to work with from start to finish making us laugh and feel relaxed right from our initial conversation over the phone. Barry has gone out of his way to make sure everything was perfect for our wedding film and I am so grateful. I am not the easiest to please when it comes to being on camera but Barry has shot everything perfectly, both of us are over the moon with our film. “Barry, Barry, Barry! What a guy. Not just a videographer but this man knows his stuff when it comes to weddings. From the initial meeting until he left the venue at the end we felt like VIPs, all that mattered was what we wanted. Barry gave us plenty of sound advice and little tips the whole was through. I was initially concerned about have a bloke with a camera walking round all day but he was like a ninja and when he was working his magic you didn’t know he was there! Thank you for everything Barry and we can’t wait to see the final product. We’re sure it will be perfect. We received our wedding film on Saturday and we spent the afternoon glued to our tele watching one of the most amazing days of our life. You have captured every single precious moment of our wedding day and the way you have put our film together has left us on a huge high. We are over the moon that we found and chose you to film our wedding day. From the moment we booked you we knew how fantastic you were. You are very personable and go out of your way to make sure everything is perfect. Nothing was too much trouble for you. Anything we asked (no matter how many times haha) you always came back with all the information we needed and how we had to do it. Our wedding film is something we are going to treasure for the rest of our lives and we can re live and watch it as many times as we like. We can’t wait for all our family and friends to watch it with us too. As you know, we have just had our twins and I was pregnant with them on our wedding day (although we only thought it was 1 baby haha) and we cannot wait for them to watch our film when they’re bigger of mummy and daddy getting married. You really are so talented and an extremely lovely, likeable, professional man and we will recommend you to everyone we know. And to anyone reading this review and thinking whether or not Barry is your man to film your extremely special wedding day, He really is. He makes you feel totally at ease and you don’t even know he’s there for most of the day yet captures EVERYTHING. Thank you so very much again Barry, we couldn’t be happier with our AMAZING Wedding film, it’s beyond what we ever expected and I have LOVED seeing what was happening downstairs as I was getting ready upstairs. Also, I have LOVED watching my bridesmaids, page boys and flower girl walk down the isle and then that special moment with my dad when he walked me down to marry my gorgeous husband……priceless. We have also LOVED the Guest Messages…..The outtakes……hilarious hahaha. 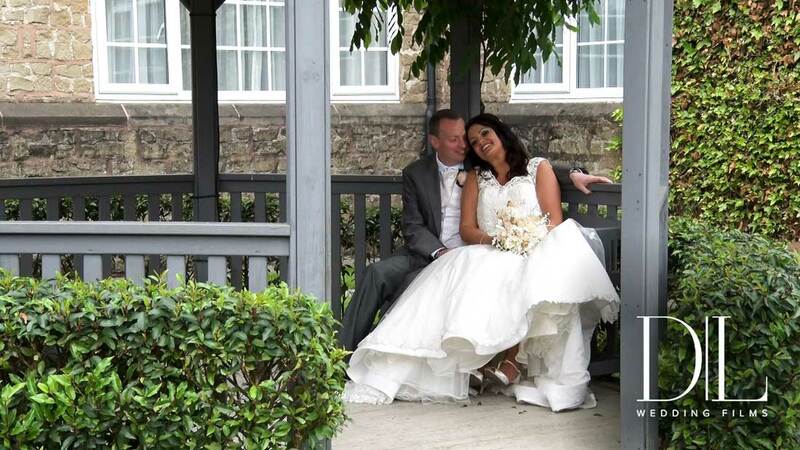 “Barry captured our wedding day beautifully, we laughed and cried tears of happiness watching it. It was wonderful to replay happy memories and see moments that we missed during the day. The quality of the film was more than we even imagined and it is something we will always truly cherish. Barry himself was brilliant – he was very professional and he has a great sense of humour which makes him easy to work with. He really listened to what we wanted from our video and it is perfectly reflected in the finished product. If there is one piece of advice we would give to any engaged couple it would be to have a wedding video made by Barry! 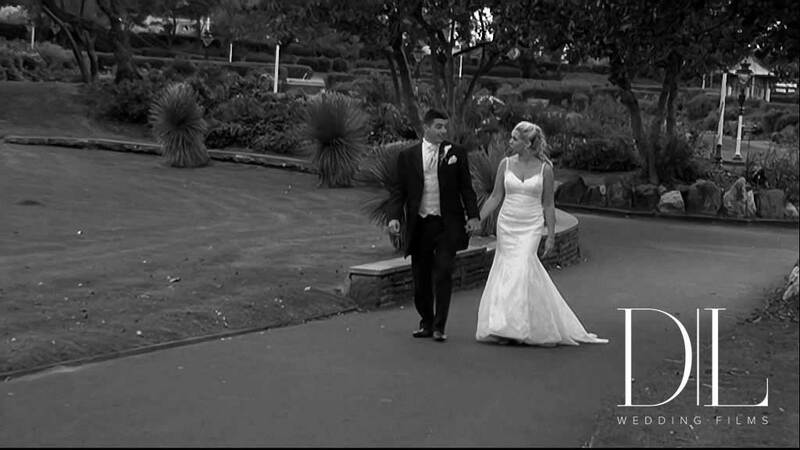 Barry we truly can’t thank you enough for everything you did on our wedding day, our wedding video is stunning. Sam says the only downside is your choice of football team! Barry, we really have no words to describe how absolutely amazing our wedding film is. We feel so overwhelmed with how you have captured such important parts and brought our day together. It was such a pleasure to have you be part of our day, you made us feel at ease throughout in which to us your presence felt more a guest. Our film is something we will treasure forever, we want to watch it over and over again and can’t wait so show our family and friends. Thankyou very much, your professionalism and service will be highly recommended. Barry was the perfect person from start to finish to record our wedding film. We didn’t even know he was there & he captured things on the day that we did not even know had happened. Barry is brilliant at what he does and every single one of our guests commented on how professional, lovely & funny he was. Our wedding film is just amazing & it was definitely worth the wait (we would recommend to any future bride & groom to get the Guest Messages). We have already recommended Barry to everyone we can think of who is looking at getting married. 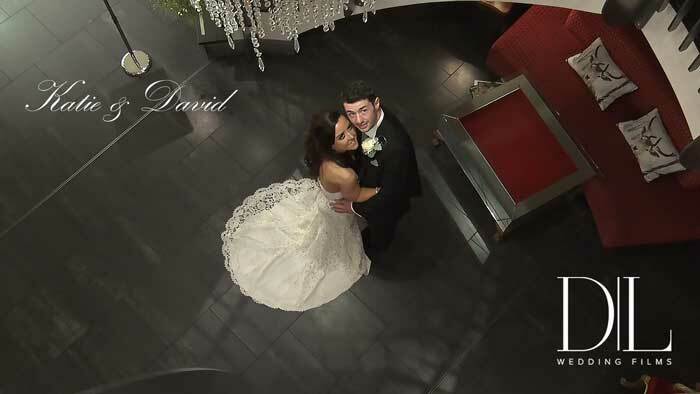 “Absolutely amazed with our wedding video !!!! It was 100% the best decision to choose Barry to film our special day! As a bride…. you are wrapped up in your own little bubble getting ready for your big day….you don’t get to see how your husband to be is acting before you say your vows. It was lovely to see him welcome all of our guests and to see everyone’s reaction when I walked down the aisle. Barry has captured every one of our guests throughout the day but especially took notice of our parents and grandparents which we love. Barry – you were so discrete with your filming that we hardly noticed you there! You are so laid back and helped up to stay calm on our big day. Your experience certainly enables you to be in the right place at the right time to capture special moments. ‘Thank you’ does not sum up how great-full we are to have such lovely memories that will last a lifetime. We will treasure our video forever. My only doubt is not opting for the full package! I have already been recommending you to our engaged friends so will no doubt meet you again over the years. You are truly amazing at what you do! Our wedding film was absolutely worth the wait and more! It reduced me to tears! We where always going to have Barry film our day, as he had previously filmed my sisters wedding day, and her film was just outstanding and captured the day so beautifully…we knew we wanted that for our day too! Our wedding film and the service we received off Barry was totally worth the money; Barry is such a professional, but also a top bloke! He offered invaluable advice and support to our wedding party and was so discreet on the actual day. I couldn’t wait to sit down and watch our film, all those feelings and emotions came flooding back and we will have the opportunity now to relive it when ever we like! Barry is truly the best in the business and his work demonstrates that! Thank you from the bottom of our hearts for our treasured keepsake. Rachel and I received our film yesterday and we couldn’t be happier. We laughed, we cried and we can’t believe how much we missed during our day that you managed to capture for us. Thank you so much for your hard work capturing our day in such a beautiful way. We have loved watching our film a good few times now. We had the best time working with you and you definitely fit in well with our mad family who you made to feel totally at ease. The way you worked with us on the day made the whole experience a pleasure. The film is amazing and we cannot thank you enough for all you did for us before and after the wedding. The advice you gave to the both of us helped remove any stress from our wedding day. We’re so glad you was our worst kept secret! We will be forever grateful to you for providing us with everlasting memories of our day. 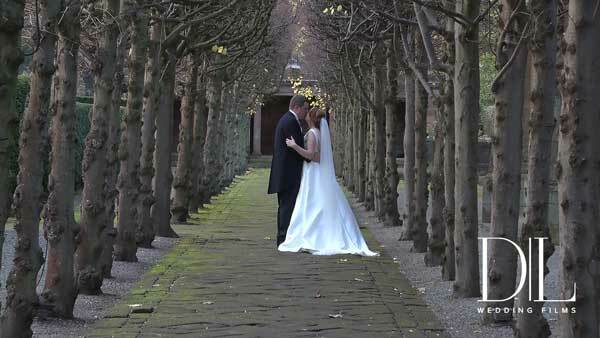 “I am so delighted with my wedding film…. 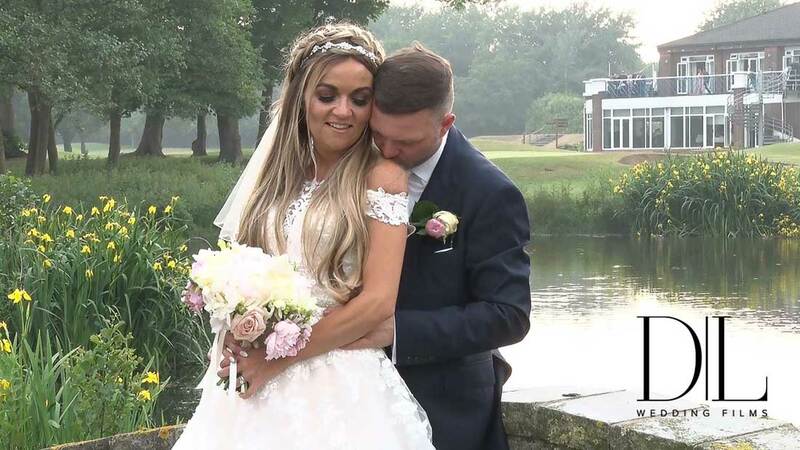 Our wedding video is absolutely amazing and we have loved watching it and sharing it with our family and friends. It has provided us with so many poignant memories of the day and is something that we are going to cherish for the years to come. What you did for us to enable us to watch our film over here in Vietnam via the online delivery was going above and beyond what we could ever have imagined and, for that we will be eternally grateful. From the moment that we met you, we knew that you were going to be a wonderful person to work with and helped to put us at ease about being filmed. Your unobtrusive style was commented upon by all our guests and they didn’t even realise they were being filmed! 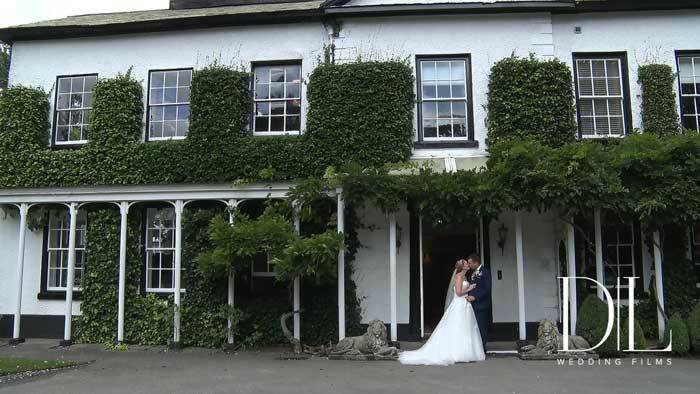 We cannot begin to recommend you enough to anyone considering having their wedding filmed. You have been incredible from start to finish and I really can’t put into words how grateful we are for everything. Firstly, thank you so much for capturing magical moments from the best day of our lives. I have laughed and cried many times watching our film, and even been able to watch moments that happened on the day that we didnt even know were happening at the time. I absolutely love our film and don’t get tired of watching it. You captured our day beautifully and we will treasure it forever. From the first meeting you where an absolute professional. You couldn’t do enough for us both before and after the wedding and most importantly we were able to have a laugh with you too. We will definitely be recommending you to family and friends in the future. 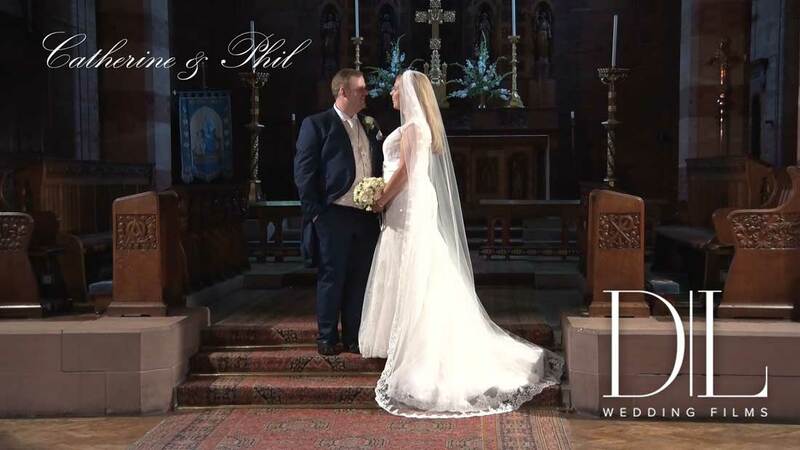 ” ….I just want to say a massive thank you.. we will treasure this for the rest of our lives..
Just watched my wedding film and I can honestly say I have never laughed cried or smiled so much in my life. Barry has captured every moment that I could ever have wanted possible. He is absolutely fantastic at what he does and his work definitely speaks volumes. He has captured the most wonderful parts of our wedding, we have so many precious memories now as myself and my husband were not around for all of them, so we got to see things that we didn’t see on the actual day – which is absolutely fantastic. Barry is very professional and again his work completely shows that. I just want to say a massive thank you to Barry for everything that he’s done for myself and Ian, we will treasure this for the rest of our lives. I truly am grateful that you were part of our day and could capture it all on film for us to watch over and over again.